Of infrastructure services at the KIA to attract international business investors in the face of competition from the country's neighbours. Mr Adjei Boye, who was speaking at the World Aeronautics Society Day said KIA served as one of the first points of call for any one who wanted to do business in the country, adding, "our neighbours may overtake us if we do not pull our weight, especially when technology is constantly changing." The Day, which is celebrated annually was organised by the Ghana Aeronautical Information Services Association (GHAISA) and sponsored by the Ghana Civil Aviation Authority (GCAA) under the theme: "Making Kotoka International Airport an Air Transport Hub in the Sub-Region-challenges." It was adopted by International Civil Aviation Organisation (ICAO) in May 15, 1953 to ensure the safety of flight operations. 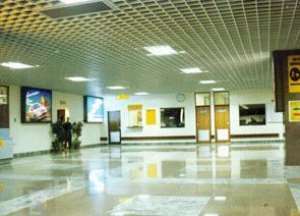 The Deputy Minister said the government was taking steps to set up domestic hubs at Kumasi and Tamale from where passengers would be linked with the smaller airfields in the other parts of the country, using smaller aircraft. He said KIA would also serve as a hub to connect inter city links that would be established between Ghanaian cities and those of her neighbouring land- locked states, including Burkina Faso, Niger and Mali. The Deputy Minister said a key element in ensuring the success of KIA as the gateway to Africa was the need for well-qualified staff to man its operations at every level and therefore, urged management of GCAA to ensure continuous staff training and the development of a performance based remuneration to ensure their commitment in attaining good corporate objectives. Nii Adumansa-Badoo, Deputy Director General of the GCAA, said GHAISA had an important role to play towards the achievement of the corporate mission of GCAA and urged them to ensure that their members benefit from the training programmes that the Authority would establish. He said management would consider proposals and suggestions from the association that would help build the authority to become the gateway to Africa. The president of GHAISA, Mr George Crankson, enumerated some of the issues that required urgent attention by management of GCAA to make KIA succeed as an air transport hub in the sub-region. These, he said, include laws and practices that govern the management of aviation in Ghana, cost of Air operations, the monopolistic situation that prevails now in the country with respect to Air Routes and the challenges from other Airports in the Sub-region.